Sankranti is festival of fun, happiness & togetherness. RedHeart Movies brings you a Hilarious joyful ride Express Raja in USA & CANADA for this Sankranti for the whole family and surprise big for this season with great entertainment. Disk has arrived well in advance and is ready for release on Jan 13th. Express Raja Advantage in USA: Great Fun Filled Family Entertainment with $12 Ticket price for Festival Season is always an added advantage. 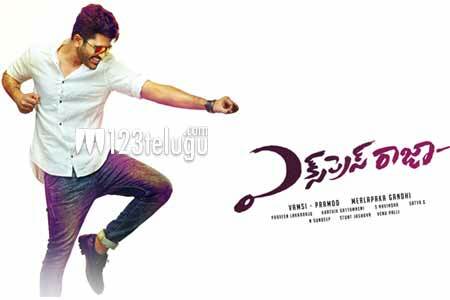 Sharwanand’s versatile selection and UV Creations track record is plus in overseas. MID RIVERS – ST LOUIS, MO. Express Raja is an Out & Out Entertainer coming from UV creations who delivered blockbusters in Overseas with Bhale Bhale Magadivoy(Co.Prod),Run Raja Run & Mirchi. Sharwanand’s versatile & variety selection of movies is major asset in overseas to break the box office with collections. We wish everyone with family and friends would come to enjoy this hilarious ride with $12 ticket pricing for this Sankranti. Thank you UV Creations & Great India Films for their immense support.